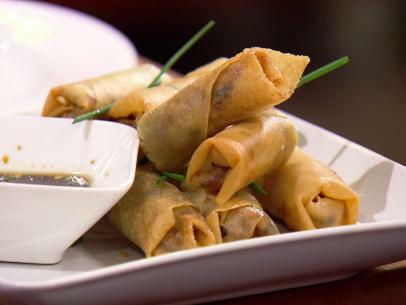 Gingery shrimp and crunchy vegetables fill rice paper wrappers and are served with a sesame ginger dressing for dipping. Halve the shrimp lengthwise and toss in a medium bowl with 1/3 cup of the Asian Style Sesame Ginger Dressing. Toss the coleslaw mix, scallions, cilantro and peanuts in a large bowl with the remaining dressing. 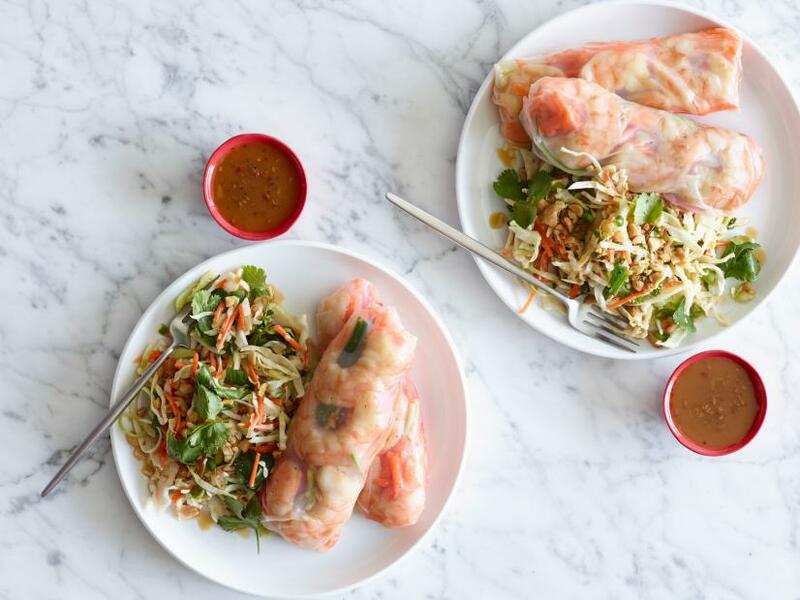 Set aside while you assemble the summer rolls. Fill a wide, shallow bowl with warm water. Dip a wrapper in the water until pliable, about 15 seconds. Place on your work surface and lay a row of shrimp down the center, leaving about an inch on each side. Top with some of the carrots, cucumbers and peppers. Fold the sides in and then roll up like a burrito. Repeat with the remaining wrappers and ingredients, keeping the finished rolls covered with a damp paper towel as you work. Divide the slaw among 4 plates and place 2 summer rolls on each. Serve with the remaining dressing for dipping.